The 70-year-old justice suggests he wants to stay on Supreme Court until death. 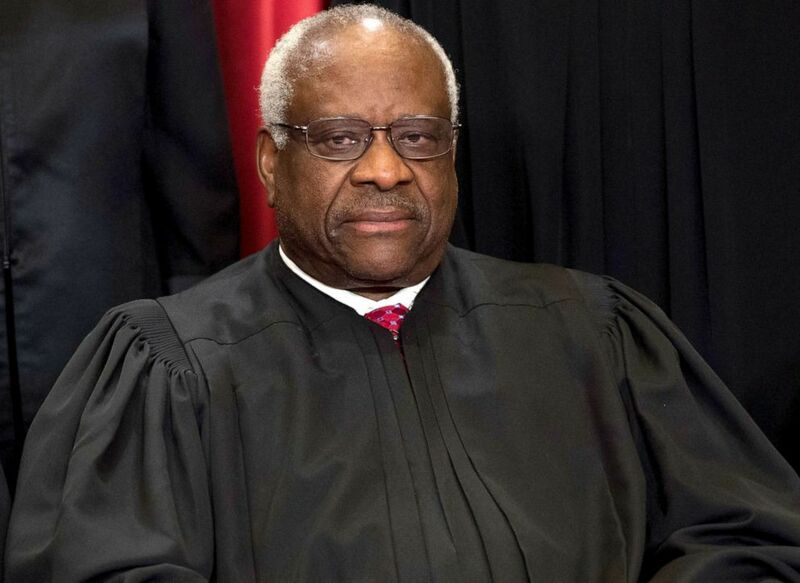 In a rare public appearance this week, Supreme Court Justice Clarence Thomas quashed speculation that he could be contemplating retirement, while a Republican is in the White House. Thomas, instead, implied he intends to be on the high court bench until he dies. "I'm not retiring," Thomas said in response to a hypothetical question raised during an event at Pepperdine University School of Law. (Saul Loeb/AFP/Getty Images, FILE) Supreme Court Associate Justice Clarence Thomas sits for an official photo with other members of the US Supreme Court in the Supreme Court in Washington, DC, June 1, 2017. The 70-year-old justice -- famously silent during public sessions of the court – has long been rumored to be considering an exit from the bench. "Let's fast forward to 20 years from now. Twenty years from now at your retirement party," said University President-elect James A. Gash. "I'm not -- What retirement?" Thomas interjected. "I'm not retiring." "20 years?" Gash asked, trying to continue. "30 years?" Gash pressed further. In 30 years, Thomas would be 100 years old. "Let's fast forward to the time when you will go home," Gash tried a third time. "Now, I won't have any say about that," Thomas replied. He is currently the third oldest justice on the Supreme Court. Justice Ruth Bader Ginsburg is 86; Justice Stephen Breyer is 80.